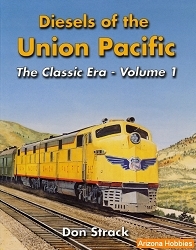 This book covers historically the building of the routes and all the important events that happened to the Los Angeles Terminal Railroad, the San Pedro, Los Angeles & Salt Lake Railroad, and followed by the Union Pacific Railroad. 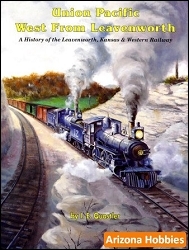 This Volume covers the early days, the steam locomotive era, and up through the coming of diesel motive power. Featured pictorially in action views are motive power and equipment from early steam, late steam and diesel freight and passenger trains plus stations, yards, roundhouses and shops. Union Pacific Takes Control, pp. 37-154. 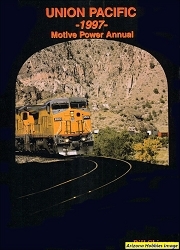 This book is an overview of the history of the routes followed up with B&W photographs (many by Duke) and extensive captions. Golden West Books, hardcover, 150 pages, 11 x 8.5 in. horizontal format, over 320 black and white photographs, maps and timetables.